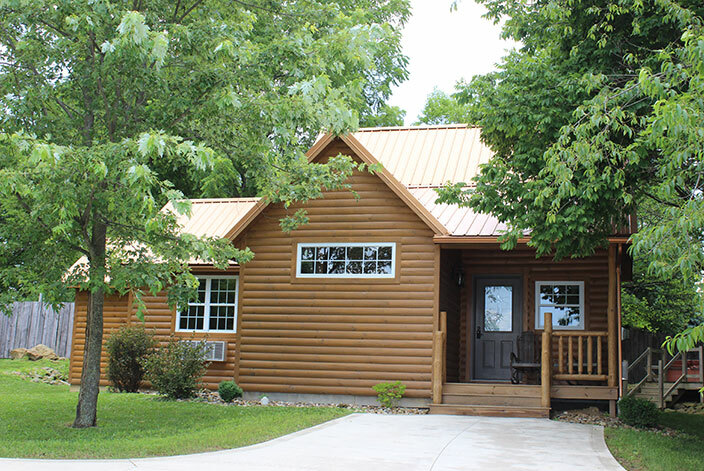 Within our Holmes County cabins we have a new addition. 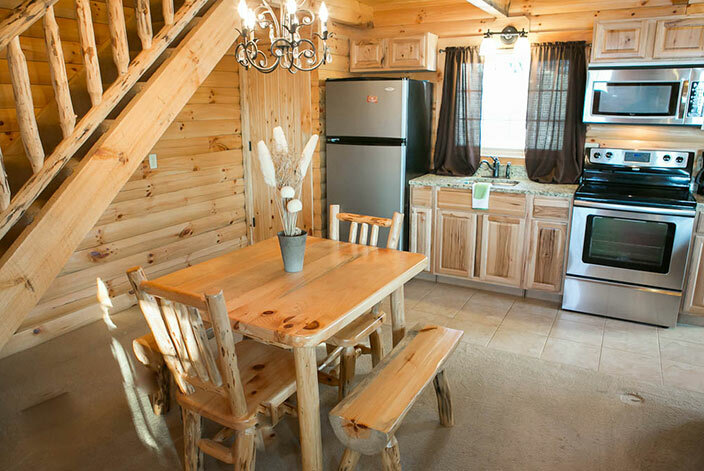 The Sugar Maple offers a two bedroom stand alone log cabin just within walking distance to downtown Berlin. 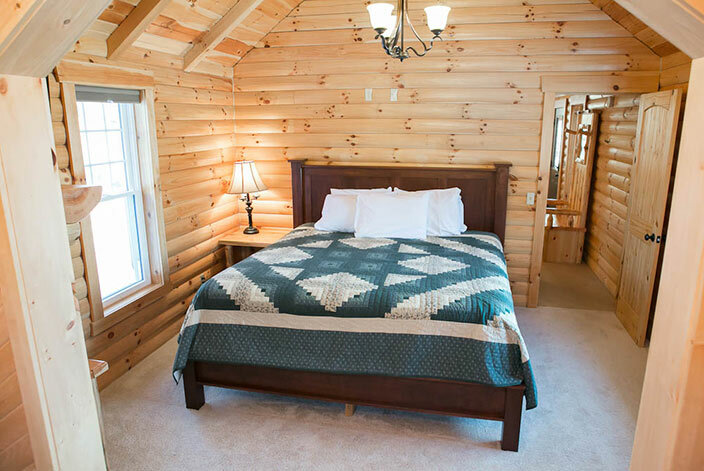 The Sugar Maple boasts a king sized bed in the master bedroom with a relaxing stone jacuzzi and an outside 4 person hot tub. 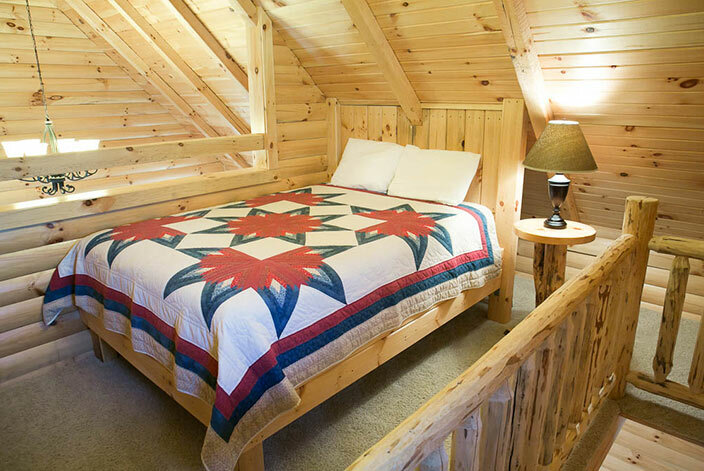 For additional guests we have added a queen sized bed to the second floor loft. 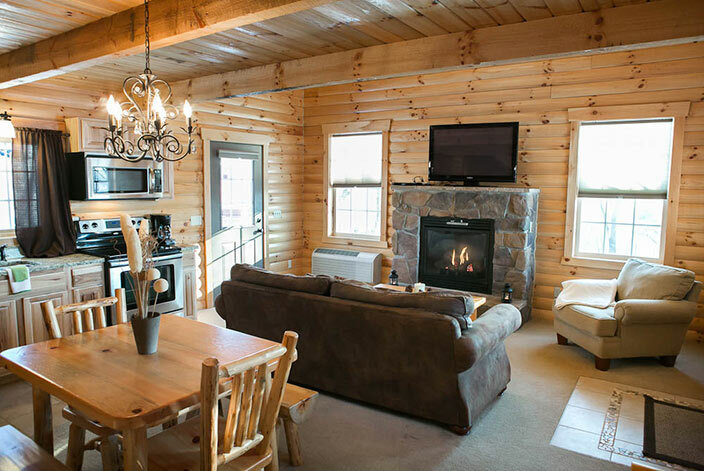 The Sugar Maple offers all the amenities of home with a full kitchen and dining room table, full living room area with stone gas fireplace, full bathroom on the main floor with a beautiful walk-in shower, free WIFI, two LCD televisions with a DVD player, AC/Heat, and a covered porch with rocking chairs. 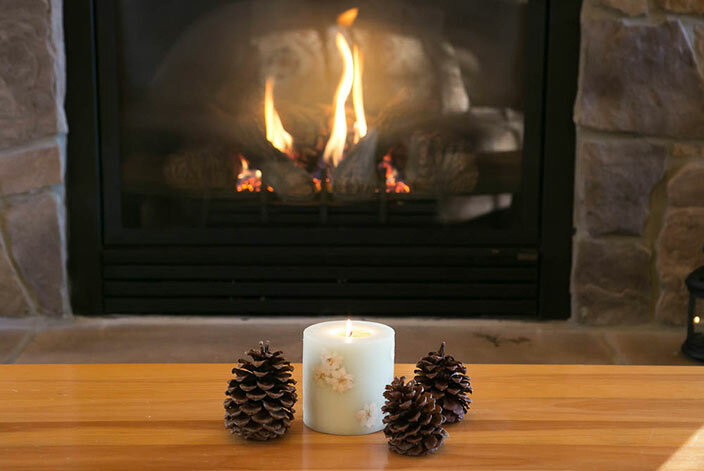 Enjoy the soothing sounds of the evening by your crackling fire ring. 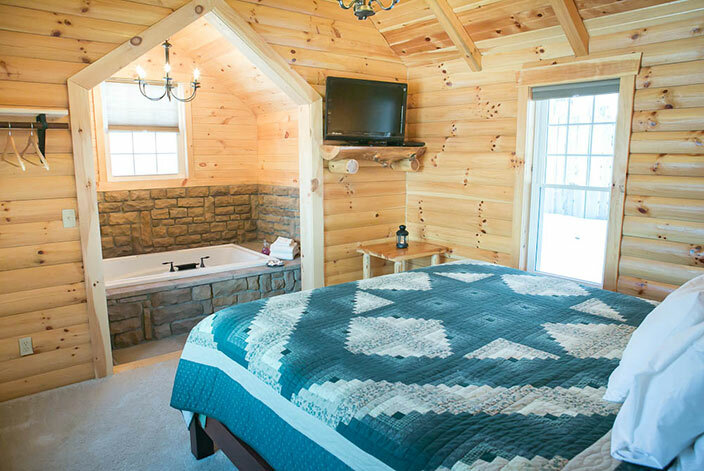 Join us with Berlin, Ohio lodging that offers a great escape for a couple or two couples alike. Everything was clean, well decorated and welcoming. Having the Jacuzzi 5 feet from the bed was perfect! We can't wait to go back!